Many of the Spring/Summer runway shows gave a nod to the colorful and eclectic ’70s. We saw a lot of classic ’70s trends making a comeback such as chic button front A-line skirts, suede clothing, fringed bags, collared cropped jackets and, our favorite, flare pants. The easiest way to stay on point this season is to add these decade-inspired pieces to your wardrobe. Start with a pair of classic flare jeans and look up to these celebrities for some styling inspiration! 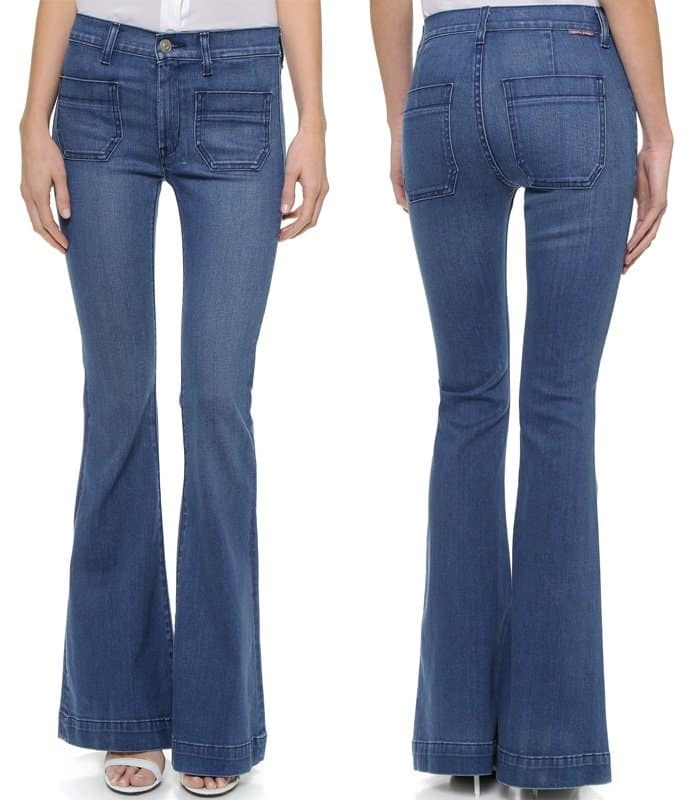 The 29-year-old socialite was spotted on multiple occasions during Fashion Week sporting the flared pants look. Here’s one of her remarkable ensembles – a pair of wide-legged jeans that she teamed up with a vest and a sequined sweater. 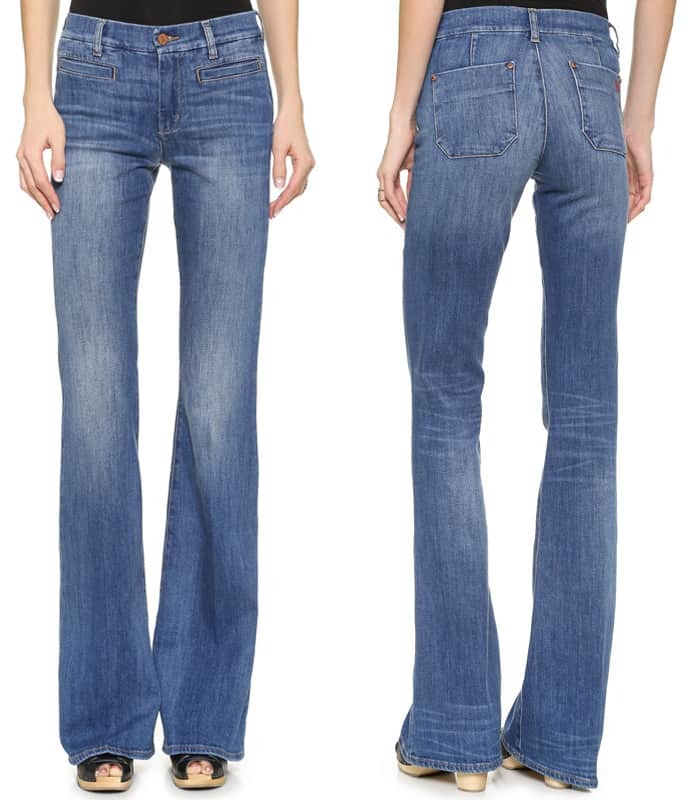 The designer and former ‘Spice Girls’ member is also a fan of flared jeans. 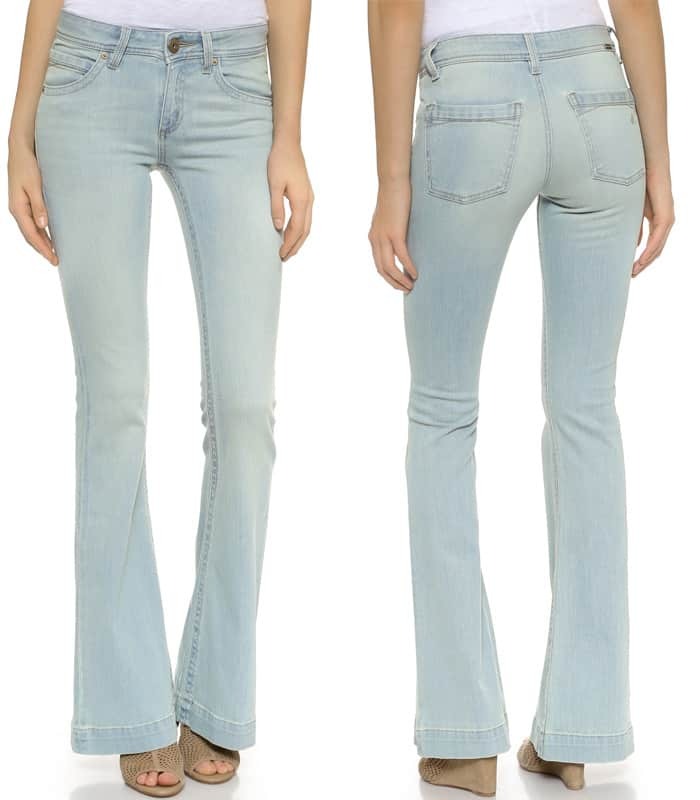 On this occasion, she styled her jeans with a basic t-shirt. Despite the low-key elements, it is a look that can easily make a statement. The reality star and mom of two gave her pair a more upscale vibe by teaming them up with a loose shirt and layering with a boxy double-breasted coat. Cara Delevingne’s sister was all about opulence when she showed up wearing a pair with a luxe fur coat during Fashion Week. It’s double denim for the actress and entrepreneur. To give more life to the look, she chose a bright-colored top and a matching pair of shoes. 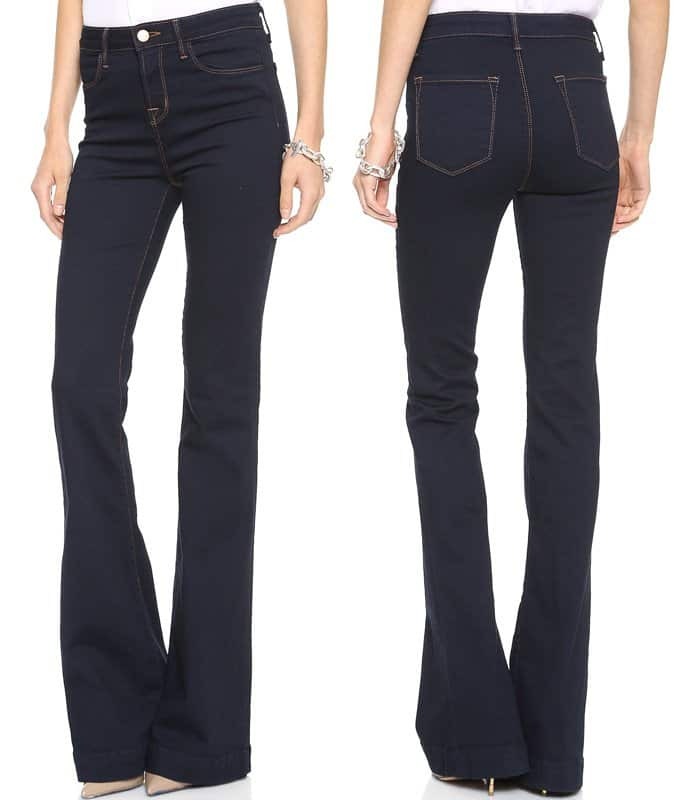 Classic button-down shirts can never go wrong with your pair of flare pants. Just take it from the veteran model. The 29-year-old actress and singer wore a pair of suede flare pants with a jacket and a lace top. 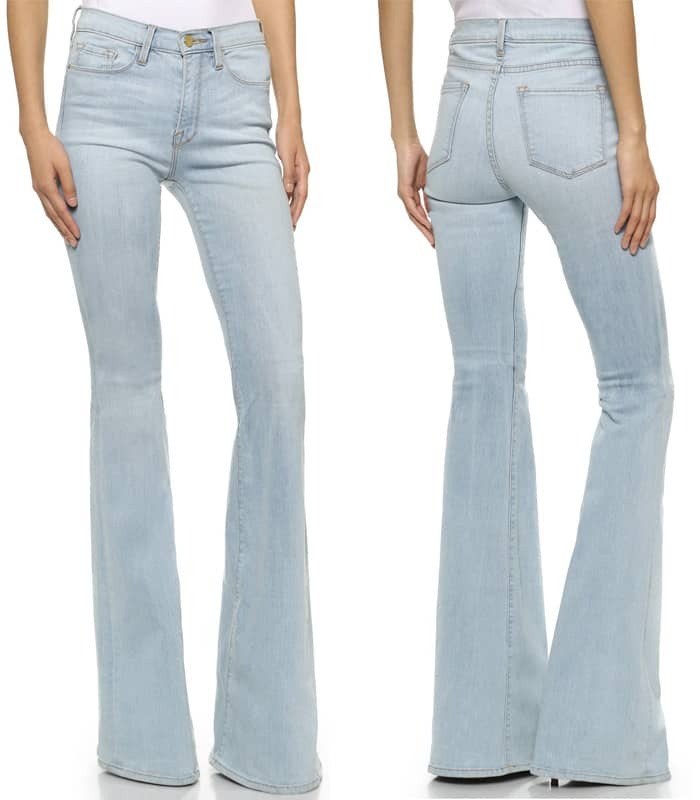 The model showed off her mile-long legs in her jeans. She styled them with a cropped pullover and a shoulder bag. 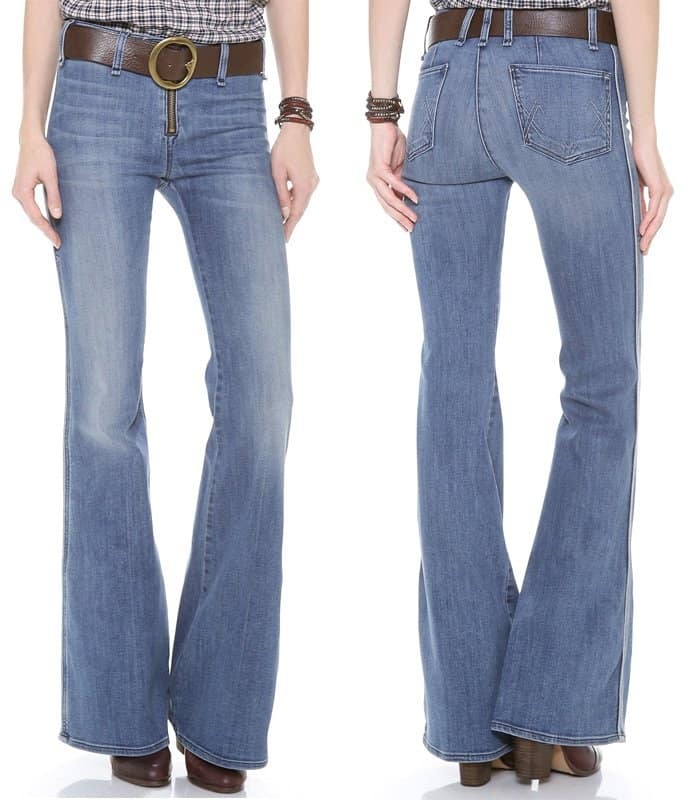 The former model is also a huge fan of the flare jeans. She often wears them for her mommy duties. This sweater and collared shirt combo works! The style icon and MTV presenter made a statement by wearing her jeans with a leopard-printed coat and a ribbon tied around her neck. The English actress styled a very pretty Joie jumper with an elegant white full-length coat, snakeskin heels, and cut-off high-waist flare jeans. Don’t you think Felicity Jones oozed sophistication in this low-key ensemble? Samira Mighty, best known from the British reality show Love Island, paired her flare jeans with a stylish checked jacket, strappy platform sandals, and a beret.